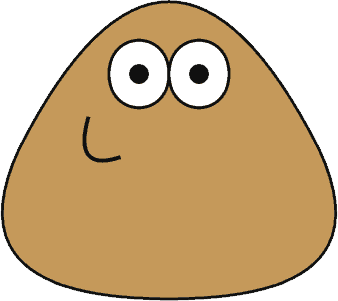 One of the best games at this moment for Android is Pou. If you are a player, read the article to find some good cheats and advice. Maybe you will be addicted one day, or maybe you already are, just read it to improve your experience with Pou. Food Drop is fast paced and you will play it quick, but you will have low rewards. Sky Jump has a high difficulty and low rewards. Free fall is easy and it has good rewards. The time played will be medium. Color match can be difficult and easy too and the rewards depend on your skill. Match tap is very easy to play and you can get a lot of coins. In Color tap, you need quick moves. You will play it fast and the rewards are not bad. Sad tap is a hard game which has medium rewards. Pou popper will take a long time to play and the rewards are medium. Goal is hard to play and offers low rewards. Find pou is easy to play but it requires time for good rewards. Memory is a good way to get good coins. Connect will waste your time for low rewards. Pou sounds is difficult and will require a lot of time for low rewards. Chose them well to get as many coins as you can. We recommend Match Tap, Free fall and Memory. We also have some good advice for the rooms of the game. For example, you will use the Bedroom to increase the energy level of Pou. You will tap the lamp and it’s done. In the hall, you can talk with Pou and offer him the possibility to go out for a walk. You can feed Pou in the kitchen. Check the fridge for more food. Use the Lab to clean Pou when it is dirty. Also, you can use potions to improve its health. In the game room, you can play or coins or play with the ball to make Pou smile. This is one of Android’s most addictive games, so be careful not to fall to deep in this addiction. If you still play this for fun maybe you will find some use of these guidelines and tricks for Pou. Meanwhile you can add a comment below if there is something you want to add.